Resonare Handbell Choir is made up of adults and youth. 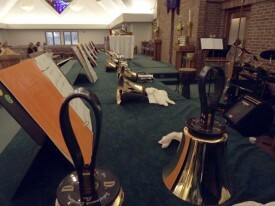 The ensemble plays monthly in worship and uses both handbells and chimes. New inquiries always welcome. Please contact our Minister of Music, Andrew Halladay if you would like to know more about our music ministry.